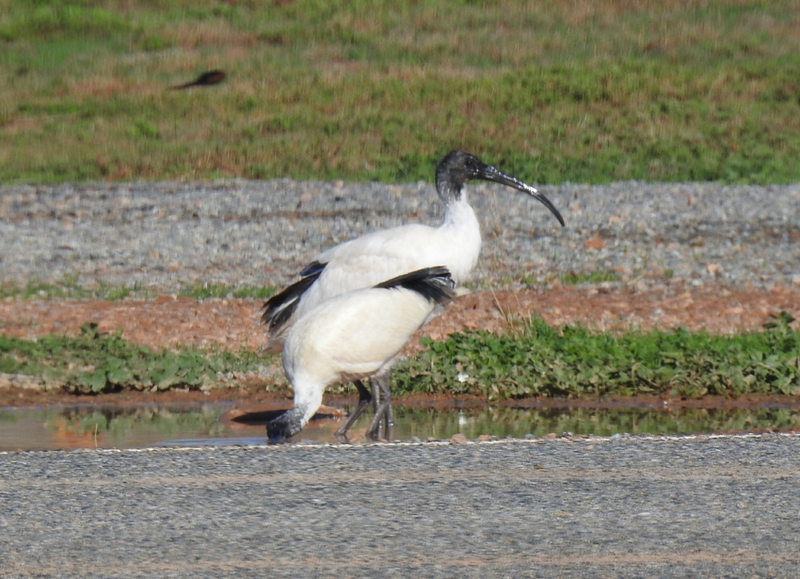 The roadside view makes the pair of ibis look like some multi headed ying-yang version of a bird as one looks up while the other dips its beak into a puddle. They are part of a larger group that has been feeding in the samphire wetlands that border the road to the island. Strictly speaking Weeroona island is more like a raised peninsula; cut off from the mainland by swampy ground that only floods in severe weather conditions coupled with high tides. 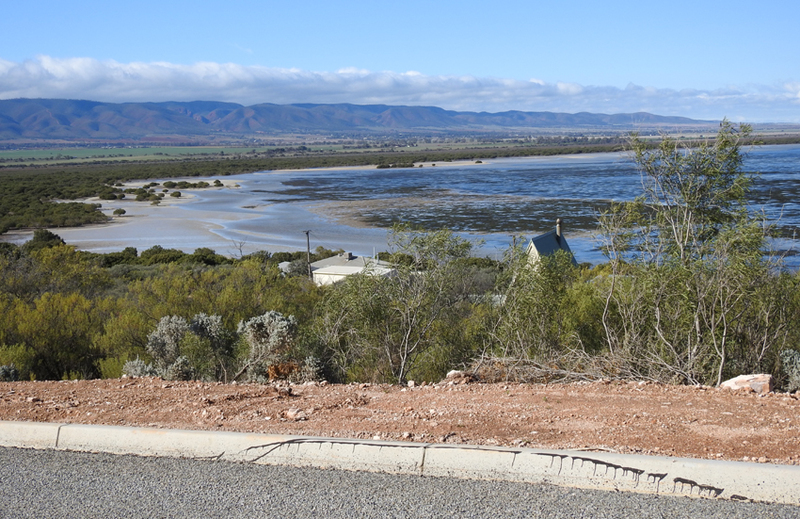 Situated between Port Pirie and Port Germein (about two hours drive from Adelaide) the island is a weekend destination for many locals. There are a wide variety of dwellings from beachside shacks to luxury homes scattered around the island. Surrounded by stands of mangrove and with stretches of beach mudflat and cliffs the periphery of this tiny island is a Mecca for coastal wildlife. As I reach the island I notice a small park with children’s play equipment, shelter and barbecues. 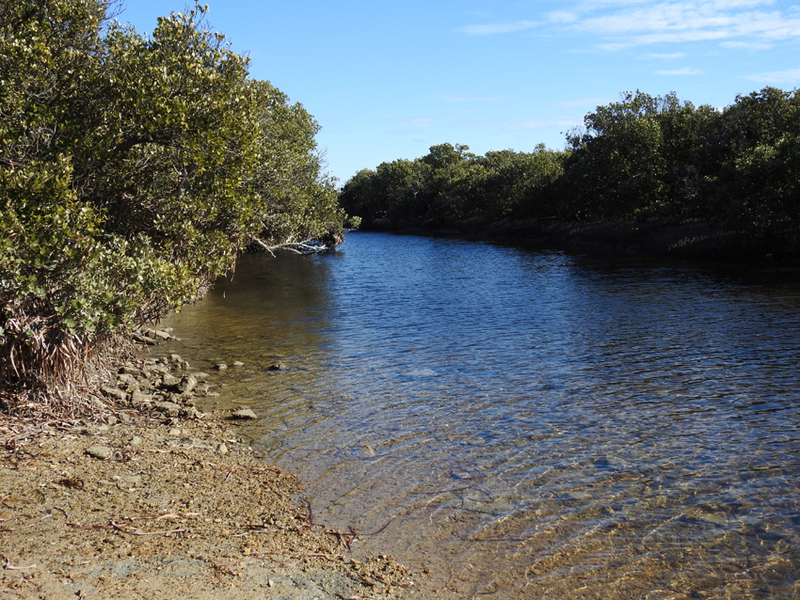 Nearby there is a boat ramp and a walking trail that skirts the mangroves. A school of mullet are feeding in the shallows and I can hear the calls of mangrove warblers and herons in the tangles of trunks and leaves that crowd the water’s edge. The view from the park back across the mainland to the lower Flinders is spectacular with low clouds enveloping the crest of the hills. Driving around the island only takes a few minutes but there are several minor roads and tracks leading down to the sea that are well worth exploring. 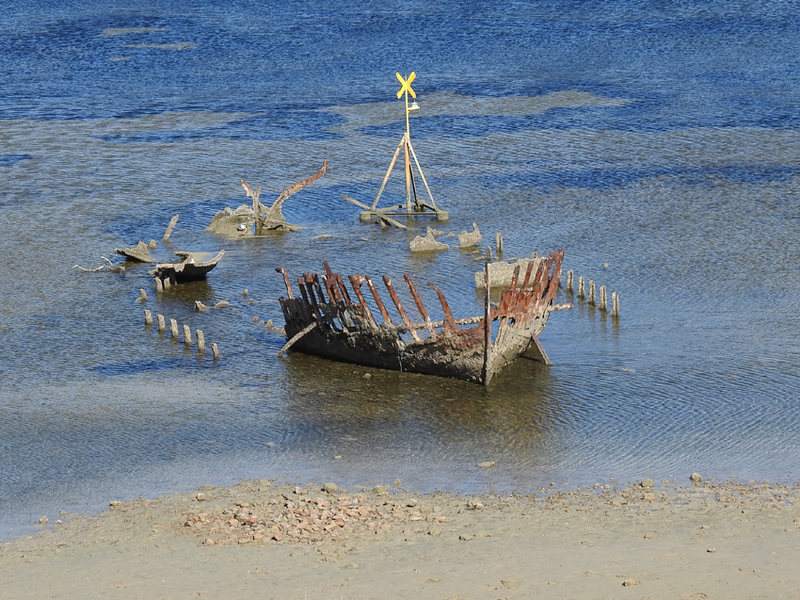 Along one small trail I have an uninterrupted view of the skeletal remains of an old fishing boat and a mixed accumulation of pied and black cormorants on a small exposed beach. It has been a brief but exhilarating drive around the little island and I will make sure to set more time aside on my next foray into the area. But Weroona leaves me with one final avian gift. Just as I am about to drive back to the main highway a pair of masked lapwings decide to walk along the path near the walkway. 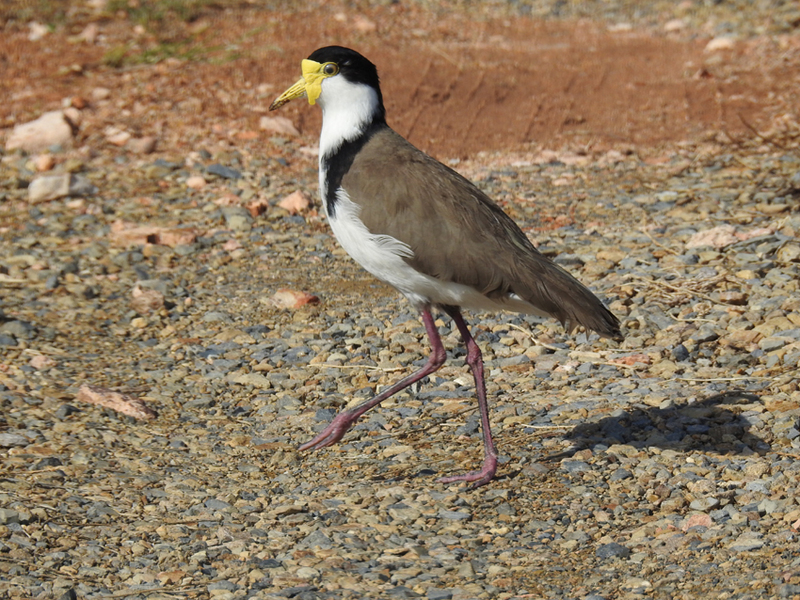 Today the light is good and I manage to get a nice detailed shot of one of these wary coastal birds purposefully strutting along the gravel track.